Deputy Attorney General Rod Rosenstein announced the charges Friday. 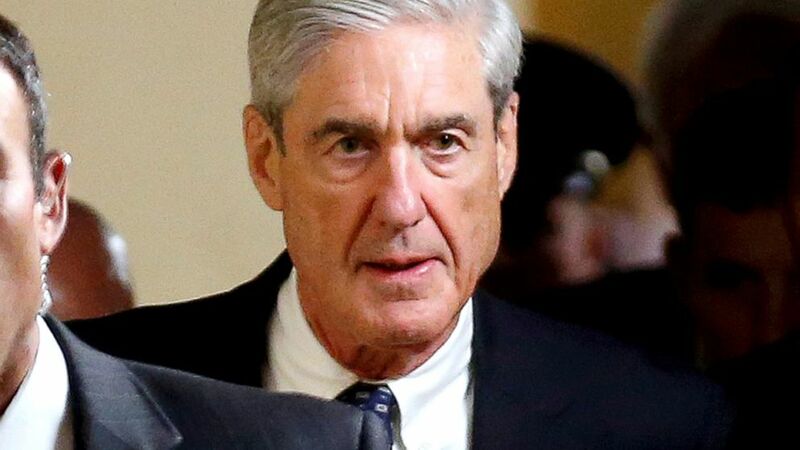 A federal grand jury on Friday returned a new indictment against a dozen Russians as part of special counsel Robert Mueller's investigation into alleged Russian meddling during the 2016 presidential campaign. The indictment targets 12 Russian intelligence officers for engaging in a sustained effort to hack networks of Democratic Congressional Campaign Committee, the Democratic National Committee, and Hillary Clinton’s campaign. All 12 are members of the GRU, Russia's intelligence service, according to the court filing. The charges come just days before President Donald Trump is set to meet with Russia's President Vladimir Putin and on the same day that Trump, on a trip to the United Kingdom, again called the investigation a "witch hunt." In announcing the indictment Friday, Deputy Attorney General Rod Rosenstein said he had briefed President Trump on the indictment earlier this week, adding that although Americans corresponded with the indicted Russians, in this case no Americans knowingly conspired with Russian intelligence officers. Rosenstein described how the Russian GRU officials began a “spearphishing” campaign in 2016 against volunteers and employees of Clinton’s campaign, including her campaign chairman. Russians’ spearphishing techniques also earned them access to networks of the DCCC and DNC, where they were able to steal emails and documents, covertly monitor the computer activity of dozens of employees, and implant hundreds of malicious files to steal passwords and maintain access to the networks. Rosenstein said: "One GRU unit worked to steal information, while another unit worked to disseminate stolen information." "Free and fair elections are hard-fought and contentious. There will always be adversaries who work to exacerbate domestic differences and try to confuse, divide, and conquer us," Rosenstein said. "The blame for election interference belongs to the criminals who committed election interference." 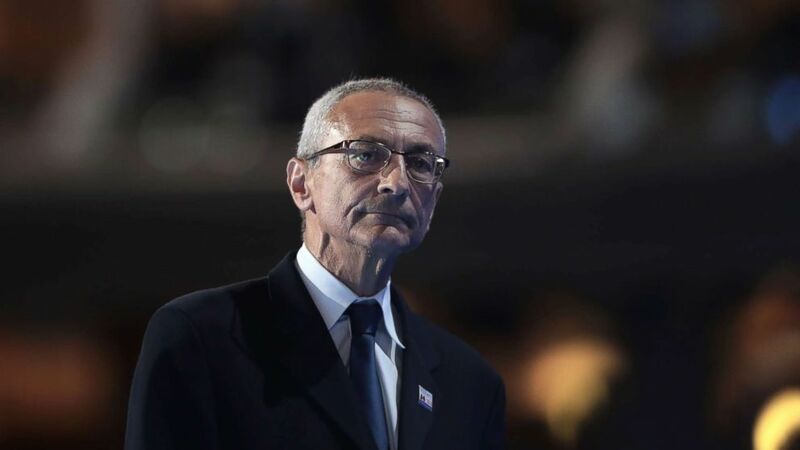 (Drew Angerer/Getty Images, FILE) John Podesta, chair of the Hillary Clinton presidential campaign, walks off stage after delivering a speech on the first day of the Democratic National Convention at the Wells Fargo Center, July 25, 2016 in Philadelphia. Hillary Clinton campaign chairman, John Podesta, whose email account was hacked during the campaign, told ABC News he was heartened to see the Mueller action. The new indictment raises the stakes as President Trump is preparing for a Monday summit with Putin in Helsinki, Finland. Already, Trump has fielded questions about whether he will raise the matter of Russian interference in the 2016 campaign, saying he expects Putin will continue to deny any involvement. “All I can do is say, ‘Did you?’ And, ‘Don’t do it again,’” Trump told reporters during the recent NATO summit. Former Gov. Chris Christie, a one-time Trump adviser and now an ABC News consultant, said Mueller wanted Trump to enter his meeting with Russian President Vladimir Putin with this indictment in front of him. (Joshua Roberts/Reuters, FILE) Special Counsel Robert Mueller departs after briefing members of the U.S. Senate on his investigation into potential collusion between Russia and the Trump campaign on Capitol Hill in Washington, DC, June 21, 2017. In just over a year since his appointment as special counsel, Mueller and his hand-picked team of prosecutors have now filed ten indictments covering 32 individuals and three businesses, earned five guilty pleas, have two criminal cases headed to trial, and sentenced one person to prison. "This is not a witch hunt and it is certainly not a joke, as Donald Trump has desperately and incorrectly argued in the past. It’s long past time for him and his allies in the Republican Party to stop ignoring this urgent threat to our national security," DNC Chairman Tom Perez said i a statment. President Donald Trump and his supporters have repeatedly called Mueller’s investigation a “Witch Hunt”. Friday’s indictment comes as Rosenstein faces increased scrutiny from President Trump’s backers on Capitol Hill. House Republicans have threatened to hold Rosenstein in contempt of Congress for what they say is the Justice Department's failure to comply in a timely manner with a subpoena for documents related to the Clinton email and Trump-Russia investigations. The Department of Justice last Friday sent a letter to two House committees insisting it had fully complied.